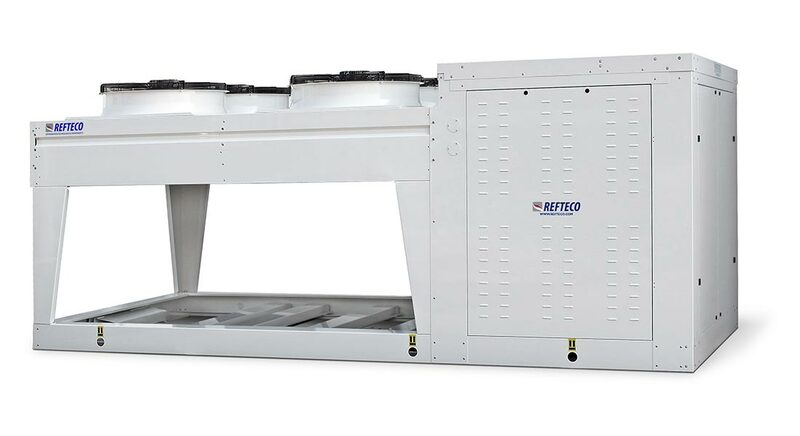 REFTECO offers a wide range of tailor made condensing units suitable for industrial refrigeration, commercial refrigeration and process cooling (oil & gas industry, ice rinks, etc.). The product lines are available for water cooled condenser or air cooled condenser and for ammonia or HFC refrigerants. All product ranges are designed to provide low energy consumption, reduced refrigerant charge and low maintenance cost. We are at your disposal for further informations.